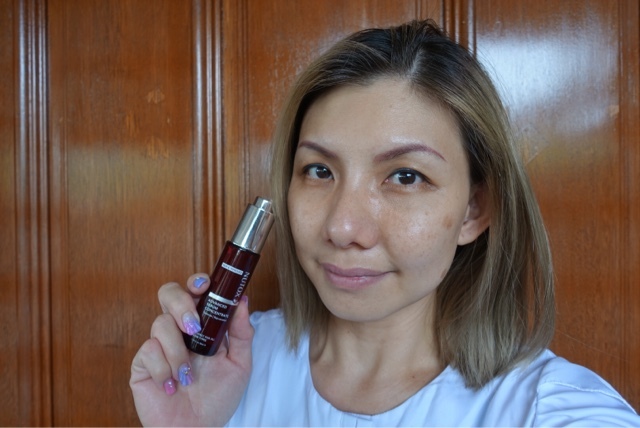 The fast performing anti-aging beauty serum housed in its signature red bottle is packed with elixir which claims to works diligently to speed up production of skin’s natural collagen, elastin and hyaluronic acid levels to reveal visibly-younger skin in just 7 days! In 2006, the company introduced Nutox’ now-best selling anti-aging serum, Serum Concentrate. It quickly became a popular choice among women looking for an effective anti-aging solution to address skin concerns such as wrinkles, loss of elasticity and firmness. But the fact that most Malaysian women only start to take action when their signs of ageing become visible on their skin, thus they have extremely high expectations when it comes to the efficacy of their skincare products. With that being said, Nutox has taken the initiative to develop its anti-aging skincare range even further, improving the products’ efficacy to deliver visible results within a shorter duration while retaining their affinity with the skin. The formula was enhanced by incorporating a key technology known as Actigenic+, which allows users to notice an improvement in a week. Yes, now you can defy the signs of ageing and look your youngest in 7 days! Nutox Advanced Serum infused with Bird’s Nest and Actigenic+ Technology is formulated to dramatically reduce the effects of aging like fine lines, wrinkles, and loss of firmness. Harnessing the powers of Macro Algae and Indian Gentian Extracts, Actigenic+ is an epidermis regeneration system that significantly firms up the skin, resulting in a more youthful complexion. My verdict : A tad thick in consistency, the serum glides on the skin easily and absorbs within seconds. The result? After using it diligently every day and night, my skin feels softer, rejuvenated and more firm. However, I did not notice a drastic improvement in my fine lines and wrinkles. It is also heavily scented, and that's really a big turnoff for me. Nutox Advanced Serum Concentrate is priced at RM79.90 (30ml) available at all major pharmacies, supermarkets and hypermarkets nationwide. 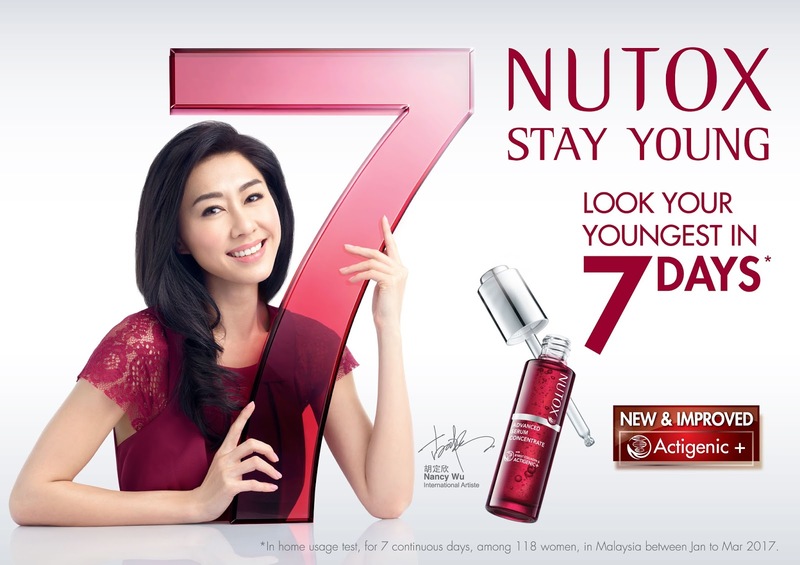 For more information, follow Nutox Malaysia on Facebook (https://www.facebook.com/NutoxStayYoung).